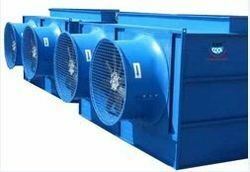 From our wide range of products, we offer optimum quality Counter Flow Cooling Tower. The offered tower is manufactured using optimum quality components and high-end technology. We offer this tower in different sizes, designs and other related technical specifications, in order to meet needs of our prestigious clients. Apart from this, our offered range is rigorously tested by our experts on well-defined parameters to deliver a flawless range at our client's end. 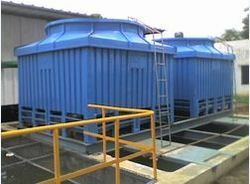 We are providing our esteemed clients with excellent quality of Forced Draft Cooling Tower. 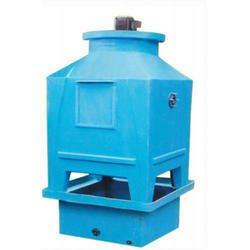 The offered tower is extensively used in pharmaceutical and chemical industry for cooling purpose. Our experts manufacture this tower by making use of excellent quality components and advanced technology. The offered tower is available in different designs and other related specifications, in order to meet variegated expectations of our valuable customers. Furthermore, our clients can avail this tower from us at market leading prices. We take pleasure to introduce ourselves as one of the leading organizations, engaged in offering a comprehensive range of Induced Draft Cooling Tower. The offered range is manufactured using high grade factor input and advance technology by our skilled professionals. In order to ensure the quality, this tower is stringently tested on various parameters. Clients can avail this tower from us in different specifications, as per their needs.